Monsoon rains in Uttarakhand have been heavier than at any time in the past 60 years, and floods have killed over 500 people. 5,000 are still missing, and the death toll is expected to rise. Buildings have been toppled and swept away, as well as entire villages and settlements. The flooding has also devastated parts of Nepal and the Indian states of Himachal Pradesh, Haryana, and Uttar Pradesh, as wells as Delhi. These areas are in the far north of India, near the foothills of the Himalayas—a spectacularly beautiful area of forests and snow-covered mountains, where there are major Hindu sacred sites and temples. Many thousands of visiting pilgrims have been caught in the floods, which have swept away bridges and roads. Sadly, a great many animals have also died or been hurt in the rushing water. 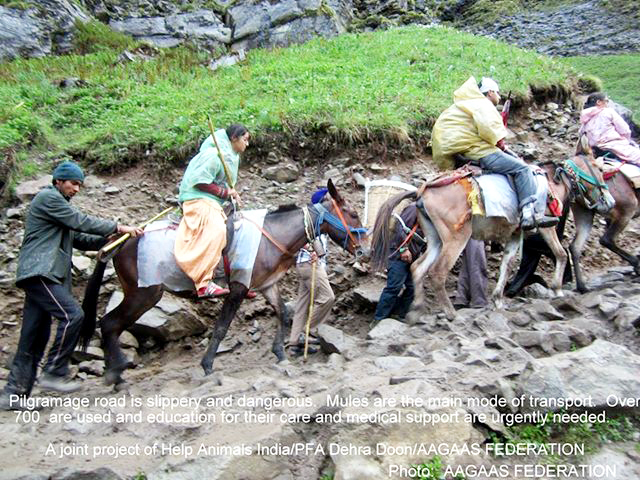 5,000 mules, horses, and donkeys who transport pilgrims up and down the steep, rocky slopes, are now stranded on the far side of the Alaknanda River, one of the headstreams of the Ganges. Most are mules, and, as well as needing feed and clean drinking water, some are injured, and in urgent need of veterinary treatment. Another 100-200 mules on this side of the river will soon be taken to the small town Josimath. Help Animals India is working with their two partner organizations to bring help to both people and animals stranded by the floods. Help Animals India’s partners, PFA Dehra Doon and AAGAAS Federation, have reported that a temporary bridge has been constructed and that authorities are now evacuating all the stranded pilgrims across the river. As soon as this has been completed, if all goes well, PFA Dehra Doon and AAGAAS Foundation will be able to start transporting the injured mules to safety, and giving them urgently-needed veterinary care, medicine, feed and water. Help Animals India, for the past several years, has worked with many Indian animal welfare groups, benefiting thousands of animals. Donations to Help Animals India are U.S. tax-deductible. To donate through the website of Help Animals India, click here. To visit Help Animals India’s Facebook page, click here. To visit the website of PFA Dehra Doon, click here. To visit the website of AAGAAS Federation, click here. Photo: Courtesy of AAGAAS Federation / This was taken before the current floods. These amazing little western grouse have waited over a decade for the much-needed protections of the Endangered Species Act. 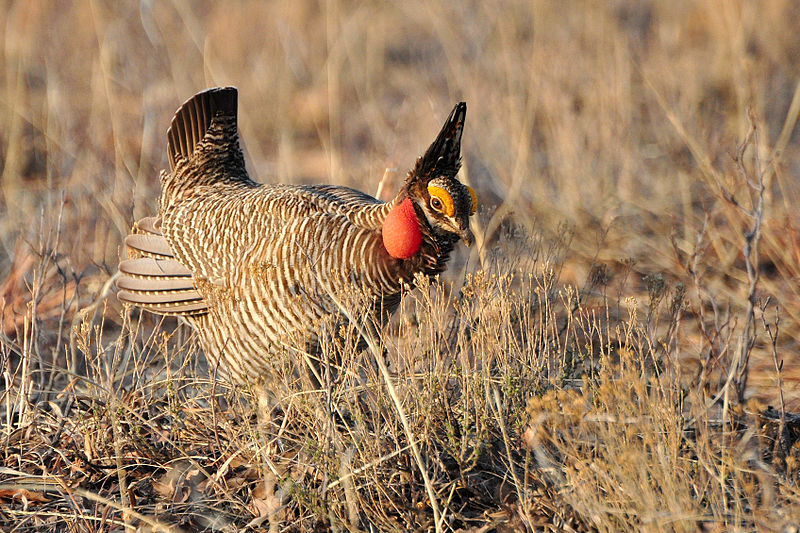 The imperiled lesser prairie-chicken has already lost 90 percent of its historic habitat and its population is only 15 percent of what it once was. Tell the U.S. Fish & Wildlife Service you support giving these fascinating birds the full protection of the law! Comments are due on the 20th, so make your voice heard now! The lesser prairie-chicken’s amazing displays aren’t protected yet, though. 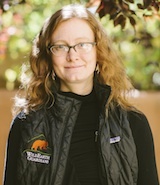 The Service also proposed a “special rule” that would allow habitat destruction to continue in certain cases, potentially allowing weaker state plans or conservation agreements to supersede the ESA. The Service may even allow hunting of lesser prairie-chickens, or the “incidental take” of the birds during the hunting season for their cousins, the greater prairie-chicken. These exceptions are entirely inappropriate for a species facing so many threats, including oil, gas, and wind energy development, collisions with fencing, drought, overgrazing by livestock, and habitat fragmentation. Help put safety first – let the Service know you support the strongest ESA protections for the lesser prairie-chicken and oppose any “special rule” that would undermine their survival and recovery. Advocate for these intriguing birds – help keep them safely dancing! To sign the letter, on the WildEarthGuardians website, on behalf of Lesser Prairie Chickens, click here. Pawstively Wag’licious, BETA’s 6th Annual Dog Show will be held on Saturday, June 29th this year. Mark your calendar and join us at the Beirut Hippodrome for a fun day to spend with your human and canine family! Kids games, delicious foods and snacks for all, refreshments, and music… And this year, we also have the pleasure of welcoming Beirut Juggles, where there won’t be any spectators, only performers of all ages! This is the only event of its kind in the country! So get ready for a fun day… Where obedience is just a tale. 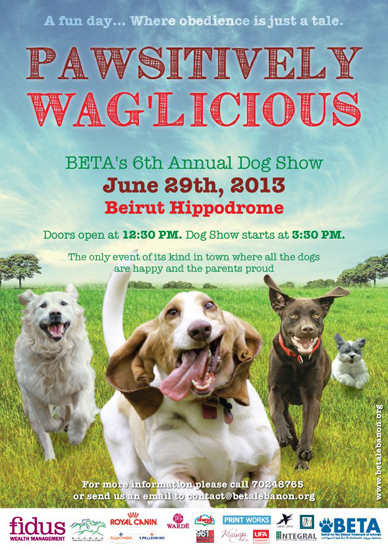 All proceeds of the Dog Show will go directly to benefiting animals in Lebanon. To visit BETA’s website, click here.